Via Comicbook.com We have our first look at the main cover and two variants for the upcoming Mighty Morphin Power Rangers #30 from Boom! Studios. In this exclusive preview we get our first look at the main cover by Jamal Campbell, featuring a number of helmets from felled rangers surrounding Lord Drakkon’s throne. The Jordan Gibson variant gives us the traditional MMPR border used on a number of variants through out the series but features Andros the In Space Red Ranger as it’s main focus. Given the In Space rangers part in the Shattered Grid Annual, this could signal a larger role for them all to play. And the final gorgeous cover is by Carlos Villa, who treats us to an incredible “Forever Black” team-up of Black Rangers spanning franchise history. Power Rangers #30 is a ways off from release, due out some time in August, but for now we can continue to drool over these lovely covers. Thanks to Comicbook.com for their exclusive preview. The biggest event in the Power Rangers franchise to date, and possibly the most talked about second to the movie last year, is the Shattered Grid crossover event. With the 29th issue of Mighty Morphin Power Rangers, we can see via the latest cover that the Mighty Morphin Power Rangers are joined by members of Power Rangers In Space, Power Rangers RPM, Power Rangers SPD, Power Rangers Dino Thunder, and Power Rangers Dino Charge! But will they be able to stop Lord Drakkon? Mighty Morphin Power Rangers Issue 29 releases this July in comic book stores and digital. Don’t miss it! Mighty Morphin Power Rangers is written by Kyle Higgins and drawn by Daniele Di Nicuolo. 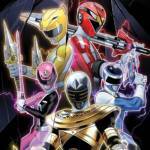 This April begins the mega event for the Power Rangers comic book universe! The Shattered Grid event, which takes place in both Mighty Morphin Power Rangers and Go Go Power Rangers, features the return of the evil Lord Drakkon (the evil Tommy from a future alternate universe) and our heroes attempt to stop him. And they’ll need help from different Power Rangers throughout the Power Rangers Universe! We have covers courtesy of IGN.com as well as some of the teams that will be featured in the Shattered Grid event! In Mighty Morphin Power Rangers you can expect to see Power Rangers Dino Charge, Power Rangers Time Force, Power Rangers RPM, and Power Rangers Ninja Steel. In the Power Rangers Annual, which will feature specific characters, it would seem like we’re getting such classic Rangers as the Zeo Gold Ranger, In Space Blue Ranger, SPD Shadow Ranger, Samurai Red Ranger, and more! Check out all the cover images by clicking the title of the story! We can’t wait for Shattered Grid to begin! Don’t miss it this April! 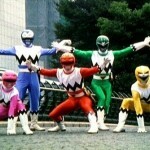 Our Power Rangers Monday segment continues! Last week, we shared with you our Top 5 things that were not adapted from Super Sentai and got a lot of great responses. It’s always fun to take a look at the “what if”, as many fans who aren’t dedicated followers of Super Sentai had no idea about Gosei Green or the entire scenario revolving around Shinken Brown. Thanks for your feedback and for enjoying the article! For this week’s topic, we put up a poll asking you to pick which topic we discussed today – and while the vote was close, the one that edged the others was the Top 5 Must Own Power Rangers Toys! This one was a little more challenging to write up because so many of the toys have Super Sentai counter-parts, leaving us to almost have to focus exclusively on the action figures as opposed to the Megazords. However, we did come up with a list that we feel is pretty awesome. Before you read in to it – we didn’t include anything from the Legacy collection or from the S.H. Figuarts toy lines. Why? Because everyone knows that you MUST own those items. They are simply masterpiece quality figures and Megazords that every Power Rangers fan should own. That, honestly, left some slim pickings – we didn’t want to focus on the “rare” as we can do that in a future update (we’re looking at you Gold Lost Galaxy Megazord!). So take a seat, lean back, and fire up your browsers to find these must own Power Rangers toys! Please click “Read More” to begin your adventure! After a nice long fall hiatus, we’re going to close out 2013 by bringing you the rest of the TokuNation.com Users Top 20 Power Rangers of All Time list for the 20th anniversary of Power Rangers! To kick it off, we’re announcing the next on the list that YOU voted for in early 2013! 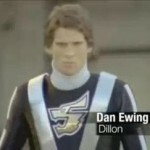 Your 11th Best Power Ranger of All Time is … Dan Ewing, who played Dillon the Power Rangers RPM Black Ranger! At the end of the Disney run of the Power Rangers franchise, the series was given to a new executive producer, Eddie Guzelian, who stated he was told that no matter what he did, this was going to be the last installment of Power Rangers. With that in mind, Eddie took the series away from the rather campy humor of talking cars from the Japanese series GoOnger, and instead put our heroes in a post-apocalyptic world where evil machines had taken over. Our heroes, the Power Rangers RPM, were the protectors of the last human civilization on Earth – the domed city of Corinth. A mysterious man in a leather jacket and a hot rod muscle car, Dillon, was selected to be the Series Black Operator because, in part, of the machine implants that were riddled throughout his body. As the series progressed, we learned that the machine implants were actually Venjix hardware, aka the bad guys turned him in to a hybrid human/machine, and that he was also looking for his sister, who he believes he was separated from inside a Venjix facility. Dillon would eventually find his sister (who we are not naming for spoiler reasons if you haven’t seen the show yet, and if you haven’t, GO SEE IT NOW) and, with the help of Dr. K, find a way to cure the struggle of control in his body between man and machine. The story of Dillon has its happy ending, and you’ll need to watch Power Rangers RPM to find out what all that entails! Dan Ewing was born and raised near Sydney, Australia. He is an accomplished athlete as well as a successful actor. As well as being on Power Rangers RPM, he also was a contestant in the Australian Dancing with the Stars, as well as a starring role in the show Home and Away, though he has recently announced that he is leaving the show in 2014. You can follow him on Twitter at @_DanEwing. The countdown continues tomorrow! Who will be Number 10? If you haven’t had a chance to see who 12 thru 20 were, then we can help you out – click here to check out the other Top 20 Rangers. What do you think of this placing – do you agree with your fellow fans? Discuss! Special thanks to LinearRanger.com, RangerWiki.com, and HenshinGrid for use of images from their archives.